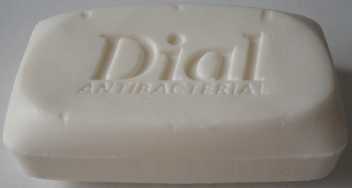 I have used Dial bar soap in my shower for years. When a bar gets used and thin I switch it for a new bar. For the past few years I’d save a number of these “used” thin ones in an already opened bar soap paper wrapper. Until recently I had saved two full wrappers containing about 15 bars. Why? I have no idea. It was just something I did. One day several months ago, I finally threw them out. However before I did I noticed that some of them were so thin that the letters “Dial” were still there and almost transparent. This caused me to wonder if I could purposely make it happen again. So now when I take a shower I only lather with the non-letter side of the bar. Yep, you’re right, only the NON-LETTER SIDE – weird huh, well I think so. Do I have obsessive-compulsive disorder? Oh my gosh, I might have OCD. But that’s not all. Recently my anxiety increased over the Christmas holiday when my daughter needed to shower. She asked to use my shower and although I said yes I was immediately worried that SHE MIGHT LATHER WITH THE LETTER SIDE – Oh no! Soon after her shower I went in, checked the bar out and breathed a sigh of relief – I could still make out the letters. My anxiety dissipated. For example, here is one of my used thin bars with the letters showing. Isn’t that so neat! I need to run fast. I need to run light. Yeah right. 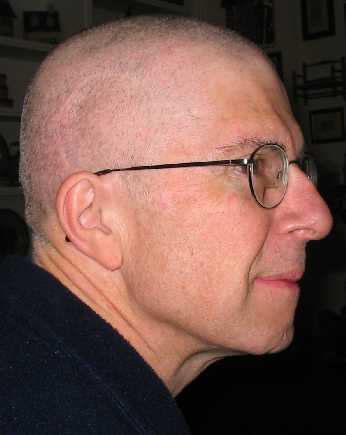 So in preparation for my third marathon I shaved my head today. It’s interesting to feel the cool breezes, and I’m so glad I’m no longer a fake redhead (or crushed garnet-head). So I’ve gone from a red-do to a no-do in two weeks. Will such changes ever stop? Yup – this is enough. 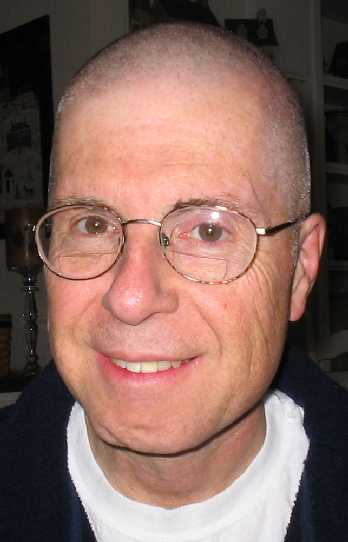 In the next one you can see my faint 3-inch circular scar from brain surgery above my right ear. I’ve now taken up wearing a black ski hat to keep my head warm. I hope marathon day is warm or I’m gonna freeze. Now I’ve got every reason to run “screamingly” fast from start to finish, because I’m a lean mean running machine. Wish me luck! We travelled over to College Station to celebrate Matthew’s birthday. It was a quiet affair with a nice lunch, then later a sandwich dinner, and dessert. We sat and talked to both Matthew and Beth and had a nice but quiet and simple time. After lunch we went shopping for shoes and just looking at things in the mall – the puppies caught Beth’s eye too. We brought a brown-sugar cake so our dessert was ice cream and cake in his apartment – btw, this was the first time we had visited him and saw the new apartment which is very nice. Because I had to run the next day we left about 8:30 PM to head back to Austin. Earlier in the day we had bought tickets for them to see a movie, but it was too late for us to stay and see. We hope they enjoyed the movie. We enjoyed the day very much. 2 cups flour – less 2 T.
When first three ingredients are melted, add confectioners sugar and vanilla. Spread on top and sides of cake. You are currently browsing the Watt's Up blog archives for February, 2006.